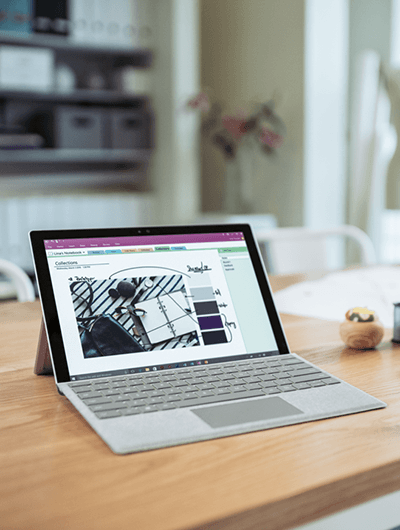 If you want all the professional bells and whistles, the Surface Book 2 is for you. This is a powerful and resilient device that will give you all the tools you need to work efficiently at all times. Suitable as a desktop PC, the Surface Book 2 is also lightweight enough to use while you are on the go. 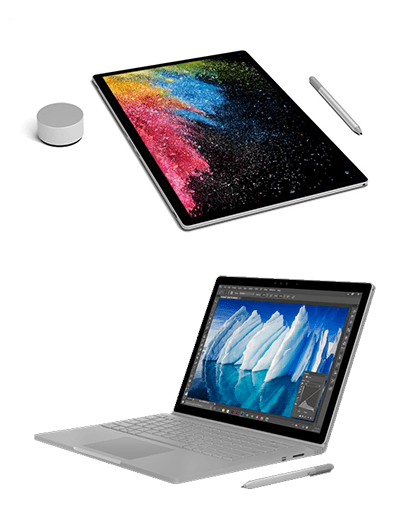 It can be used in four versatile modes: Draw or paint in studio mode using the Surface Pen or Surface Dial; render huge 3D files or edit 4K video in laptop mode; watch videos and present in view mode; or detach the screen for tablet mode. Combine plenty of memory and high-speed processors with the multitude of applications within Office 365 to be even more productive. Our bundle includes identity, security, mobile device and branded email signature management, our Office 365 Enhanced support and Microsoft’s Complete for Business Extended Service Plan. However, this can be tailored to your needs with a choice of memory, storage and accessories.